Every family has a story to tell. 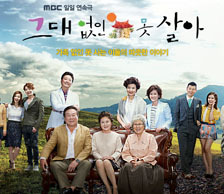 This TV miniseries revolves around a typical family and deals with their daily struggles in modern society. Sometimes, family members give each other enormous emotional support and make their parents immensely proud but at other times, they are the worst enemies to each other. But in the end, there is a message tucked underneath the layers of family relationships that basically says, love is what binds them together rather than their blood relations. Since family members can always depend on each other not matter what kind of difficult, inextricable circumstances they find themselves in, they never feel lonely in this self-absorbed world or consider themselves unlucky. Sometimes, a different word is used in place of love when family members talk about how they care about each other. And we are all acutely aware that families are inseparable no matter how hard we try to detach the emotional chains that come with being part of a family. A parent who has worked for over thirty years in a narrow market alley selling noodles without ever taking a vacation. She is a hardworking workaholic. She is tougher than most and also gets emotional in life. As a mother, she has many hopes for her children that mostly involve a financially-rewarding career. As the wife of a husband who is the eldest son, she has had to endure more pressures from her in-laws. Despite this, she has never disrespected her husband. She never shirks her responsibilities to prepare the memorial ceremonies for deceased elders as the wife of the eldest son. Born as the eldest son, he works at the noodle restaurant that his late mother established. He depended on his late mother whenever an important decision had to be made and now he relies on his wife for advice. He is stubborn and has a quick temper. But he has a good heart. As an adult, he has devoted himself to being a dutiful son, good husband and good father. He personifies what a good parent should be like. She is good-natured, well-mannered, and nice. She seems invisible at times but she cooks all the meals and does all the housework without her mother-in-law’s help because her in-law is busy running the noodle restaurant. She has a nice smile and has a likeable personality. Her parents were poor and she could not afford college. Despite these shortcomings along with her being older than her current husband, she was able to marry him against his parent’s wishes. He works in the legal department of a bank. A smart-looking lawyer with a gentle demeanor. He is a likable person but has not fallen in love yet. He does not particularly have a desire to marry and raise a family. He enjoys his bachelor lifestyle. While observing In-hye and his family, he discovers the beauty of being surrounded by caring family members, which makes him reflect on his own self-absorbed personality. He prefers to act before thinking. He is very bad with handling money. As the third son in the family, he only thinks about the people he cares about. He marries a psychiatrist and finds himself kowtowing to his in-laws. His mother-in-law deems him as a worthless, unemployed loafer and treats him in a demeaning way. But he remakes himself through the patience and devotion of his wife, Ji-soo. She is not a talker but she speaks her mind. At the age of 32, she still looks stunning. Being a psychiatrist, she has both brains, pretty looks and a nice, petite figure. Because she does not need a man to support her financially, she looks for other characterizes in a mean that appeal to her. And that’s sincerity. She encounters Min-do who is far from having a bright future ahead of him but she sees the flashes of sincerity that she desires. She decides that he is the one and utterly disappoints her mother by promptly marrying him despite the fact that most of her family and friends think that he is out of her league.